There are only a few moments in time when one finds a situation or situations that appear to be in complete balance and harmony with everything. Such was the story in our meeting the production geniuses behind True Form Films, Inc. It was like having a past life experience inside of oneself with bright and bold reflections so obvious that it mimicked standing outside in the golden sun. The difference in the frequency in this room than the one in the usual production office was clearly the result of such brilliant luminaries sitting all together, in comfort and in the same space. The day, despite it being under the mercurial influence of what astrologers and some scientist call a retrograde went well. If you can stretch your mind to believe in planets and how they seem to affect humanity as they make their way across the sky in their annual yearly cycle, then perhaps in your understanding there may be very basic knowledge gained. Actor, writer, producer, director, Yeniffer Behrens believes that things happen for a reason. Citing her own journey on coming into the industry was more than interesting it was profound and astounding. It is always intriguing to hear a creative talk about their journey out of and back into creativity. In Yeniffer’s case she came into naturally. At the age of 4 she followed her family into Washington D.C, where her grandfather was a diplomat. Born in Caracas, Venezuela, Yeniffer at an early age showed promise in the arts and found herself attending a two-year college on a Miami-Dade scholarship to learn acting. This triumph included her teacher’s encouragement which furthered her studies of the craft and lead her to the North Carolina School of the Arts. Her recurring roles in long standing Venezuelan soap opera, El Pais De Las Mujeres and as the beloved Marianna Erosa of General Hospital, garnered her international attention. 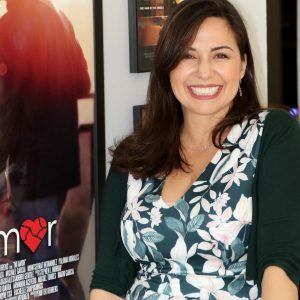 Her natural gift to act in both Spanish and English films and commercials have given her a sharp edge over her solely English-speaking competitors. Appearing in television shows like, Nip Tuck, American Horror Story, In Plain Sight, I Hate My Teenage Daughter, Desperate Housewives and films like Will Smith’s, Seven Pounds staring Rosario Dawson, The Specialist with Sylvester Stallone, A Day Without a Mexican, El Contratista and Taco Shop, are merely fringes of what this woman and her team are capable of. Her credits are immense inviting a broad range of coverage in television and film appearances that have either been produced by True Form or she and her husband Mauricio Mendoza a part of the True Form team have acted in. 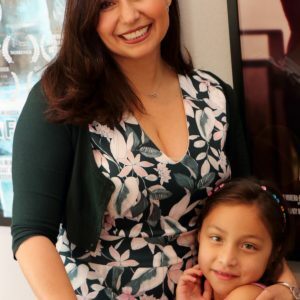 CEO and co-owner, Yeniffer Behrens pronounced Jennifer, formed True Form Films, Inc. with a dream of which she has since fulfilled, developing a platform for diverse talent to express themselves, fully and securely without inhibition of color, culture and economic disadvantages while working on creative projects. With team mate Mauricio and longtime friend co-worker DeWayne Cox, True Form Films take the game of filmmaking to another level. Projects like Mi Amor, Yeniffer’s first directorial debut could easily change a cold heart into a warm one. All True Form productions have been influenced by real life themes, hopes, wishes and desires of ordinary people. With an eye for originality she stays balanced and finds complications a way to challenge herself and to make use of her production team. We asked what it felt like to work side by side along side her husband and she told us that they make a great duo with Mauricio as tops in closing an important key and her seeing the bigger picture. DeWayne mediates making the task for delegating assignments mush easier. True Form produces film and specialized events such as the Multicultural Harmony Gala designed to promote and advocate bilingual education a subject that Yeniffer is highly skilled at and just as passionate about. While keeping a watchful eye on where True Form Films has been all eyes are on where the diverse production company is presently and what bright future lies ahead and with so much love and talent under one roof the sky is no limit.